Italy is not an anomaly in Europe, but something like a concentrate of it, runs the central argument of Perry Anderson's recent article, mistitled "The Italian Disaster, in the London Review of Books,. In a recent interview with Leonardo Clausi for the Italian news magazine L'espresso, Anderson comments on the European elections and the new President of the European Council, Matteo Renzi. Leonardo Clausi: You write of a ‘degenerative drift of democracy’ in Europe, and a ‘pervasive corruption’ of its political class. Are these structural developments, more like a momentary deficit of will and morality? Perry Anderson: It is not easy to gauge just how deeply entrenched these trends have become. What is clear is that, so far, forces that might countervail them remain scattered and weak. In Italy, of course, Berlusconi has long personified both, but they extend into an institutional landscape well beyond him. So far as corruption goes, the upcoming Expo in Milan, a typical vanity project of the time, not to speak of the mega-scandal in Venice in which the PD and PDL are jointly up to their necks, is a reminder of how futile was the Pool twenty years ago: the hands of contractors, from the right or left, are no cleaner than before. As for democracy, the performance of Presidency and the Constitutional Court offer further striking illustrations of the degradation of the Rechtsstaat in these years, now compounded by the Neo-Porcellum being rammed through Parliament. These are pressures from which even those who have risen up against them are not exempt. It is enough to think of the autocracy that governs the M5S itself, as the most intransigent opponent of the ruling system. You don’t believe that Renzi represents any change for the better. But is it right to dismiss him as a provincial, latecomer version of Blair? Renzi‘s admiration for Blair – quite widely shared among opinion-makers in Italy - is provincial in its ignorance of the fact that today Blair is so discredited and widely detested in Britain that he can scarcely dare show his face in public, much like Craxi by the end at the Hotel Raphael. But no one should dismiss Renzi as a politician. He is plainly more capable and gifted than his role model from afar. Blair was not an innovator: he simply inherited the reshaping of the English economic and political landscape by Thatcher, and took it a bit further. A mediocre figure, whose personal corruption now disgusts even his former admirers at the Financial Times, his only significant initiative was to join Bush in the war on Iraq. Renzi aims much higher, at a transformation of Italy closer to Thatcher’s achievement in Britain. But can Italy be so easily compared to Britain, as a country which has never enjoyed much real sovereignty, under American patronage of the DC during the Cold War, and the vigilance of European financial markets since? Isn’t this part of the reason for the inferiority complex of so many younger Italians towards Anglo-Saxon models? Certainly, post-war Italy has scarcely had a foreign policy worth speaking of: perhaps its only memorable act was Andreotti’s feat in trapping Thatcher at the European Summit in Rome in 1990, which led to her downfall in London. Otherwise, the record is pretty much blank. Renzi now promises to change all this, and make Italy the pole-star of the EU - a boast liable to raise eyebrows, if not a smile, elsewhere. On the other hand, the degree of external autonomy enjoyed by post-war Britain has itself been quite limited. Labour governments invariably, Conservative governments usually, have done American bidding. After Eden was brought to heel over Suez in 1956, the only real exceptions were Heath, who never went to Washington, and Thatcher, who preceded Reagan and exercised a kind of sway over him. The PD scored a triumph in the European elections this year. You wrote before the vote that Renzi was on a roll. Still, how do you explain the striking difference between the outcome of the poll in Italy and in France, Britain and Spain? The contrast isn’t that mysterious, it’s quite logical. France and Britain have experienced alternating Centre-Right and Centre versions of much the same neo-liberal regimen for quarter of a century – more radical in England, more mitigated in France. Voters are deeply disillusioned with the results in both countries, but in each the electoral system is designed to exclude any other choice for them. No formation to the left of Labour has ever been able to survive the stranglehold of the Westminster dyarchy, enforced by a first-past-the post system descending from feudal times. In France, the Communist Party still lingers on, but under the double tour only as a marginal parasite on the Socialist Party, without any real independence from it . European elections, however, are based on democratic proportionality, where these mechanisms of exclusion don’t operate. So once voters have real freedom of choice, it ‘s not surprising that the largest numbers in each country should opt for the only formations that seem to offer an uncompromising protest against the neo-liberal order, which now lie to the right of the mainstream spectrum, rather than to the left of it. Where the political system is not quite so closed, and formations to the left of the reigning dyarchy have been able survive independent of it, the same protest vote has gone in the other direction, as largely in Greece and Ireland, and to a lesser extent in Spain. In Italy, on the other hand, where there has never been a neo-liberal regime of the same dualist stamp, Renzi can promise his Big Bang as something quite new, of which Italians have not yet had any comparable experience, and win a major electoral victory on the strength of it. For the first time ever, turn-out in the European elections didn’t actually fall, even if it scarcely rose. Some observers have greeted that as a positive sign of renewed political interest and participation in the EU. Do you agree? Such a view is typical of the complacent illusions of Brussels. The reality is that voter turn-out fell in 17 out of 28 member-states of the EU, and the only reason why total turn-out was stable is because it increased in four countries where the protest vote against the EU broke new records: the UK, France, Germany and Greece. If you subtract the increment for UKIP, the FN, Syriza and the Alternative für Deutschland, the movements which Brussels most fears, ‘responsible’ participation - ie. the conventional vote it seeks – fell sharply once again. 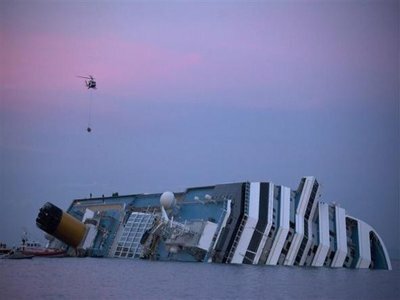 Not least in Italy, where it sank a further 5.5 per cent. To imagine this is a reassuring result for the reigning wisdom in Europe is self-deception. What’s your prognosis for Renzi after his electoral success? Passage of the Neo-Porcellum will clinch his dominance for quite a while, as intended. Neo-liberal regimes trumpet the virtues of economic competition as the motor of dynamic growth, but are absolutely averse to political competition. In elections, the last thing they want are start-ups of the kind they exalt in the markets. Oligopoly is what they seek, and the Neo-Porcellum will deliver. Under its rule, the marsh that now laps around the PD on all sides is likely to be absorbed by it, a process you can already see beginning with SEL and Scelta Civica, and no doubt continuing with NCD, as Alfano realizes that with 4 per cent of the vote his only chance of survival lies in becoming another Dini. So politically, Renzi’s bandwagon will probably gather speed. In the short-run there too he has a clear run in front of him, as the animal spirits of Italian business revive at the prospect of widening privatization and deregulation, with a pick-up of investment, and Brussels and Frankfurt make sure he has enough loose cash to entrench himself in power. But sooner or later the general limits of neo-liberalism, as a regime of accumulation that has been unable to maintain post-war rates of growth and employment anywhere in the West, will kick in. Then the popular disillusion you see elsewhere will begin. Does the M5S offer any real alternative, or is Grillo just another expression of Italy as the highest embodiment of society of the spectacle diagnosed by Debord? We invented opera, after all. After its electoral feat in 2013, coming virtually overnight from zero to 25 per cent of the vote, even the media which are now bitterly hostile to the M5S, acknowledged its transformative potential as a new democratic force. But in the eighteen months since, Grillo first sterilized this potential with a parliamentary isolationism that inflicted another Presidency by Napolitano on the country, and put Renzi into the Palazzo Chigi, and then dissipated it with a campaign of braggadocio and bluster in the European elections. Italians must hope—against the odds—he and his movement have learnt the lesson of their defeat. If not, the Cinque Stelle will fizzle out like a Reggio capoluogo of the Internet age, to the relief of the political and intellectual salotto buono of the land. Perry Anderson is the author of, among other books, Spectrum, Lineages of the Absolutist State, Passages from Antiquity to Feudalism, English Questions, The Origins of Postmodernity, and The New Old World. He teaches history at UCLA and is on the editorial board of New Left Review. Read the original interview in Italian here. Read Anderson's The Italian Disaster in the London Review of Books here.